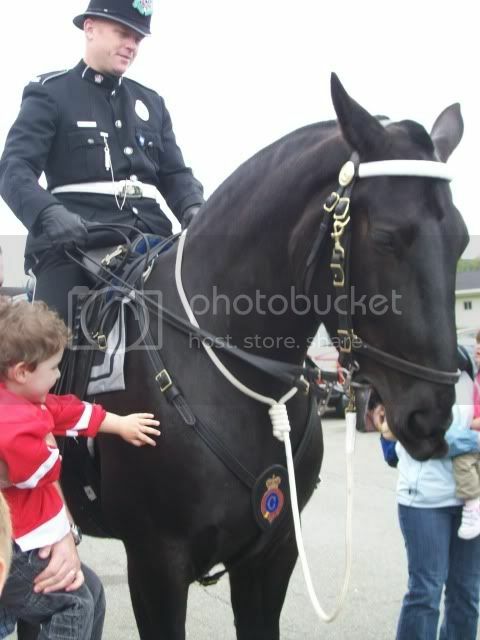 These are the beautiful Royal Newfoundland Constabulary (sp?) 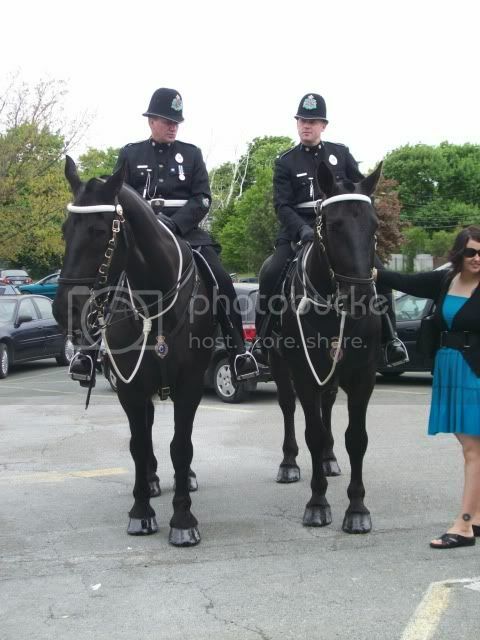 police horses! 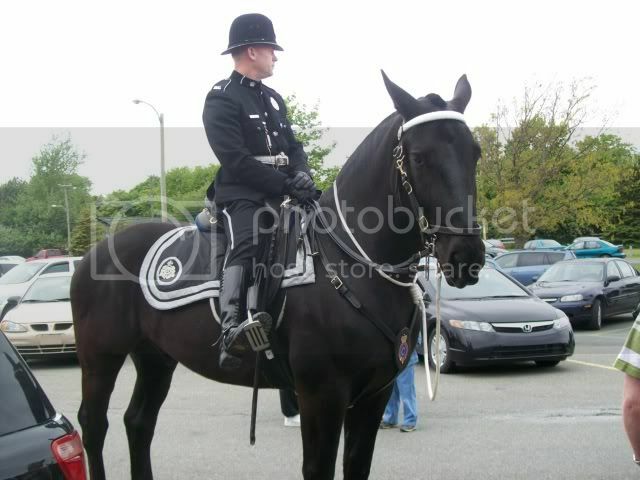 There are 4 belonging to the RNC,but these are just two of them...Vince and Frays (not sure how to spell his name)...they are percherons. These pictures were taken June at the "NL Pet Expo". 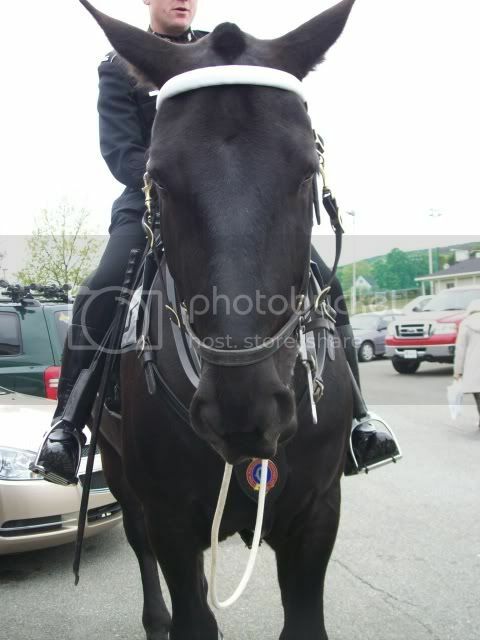 Beautiful horses! Their hooves are so shiny! I noticed that too! They are gorgeous, gorgeous, gorgeous! 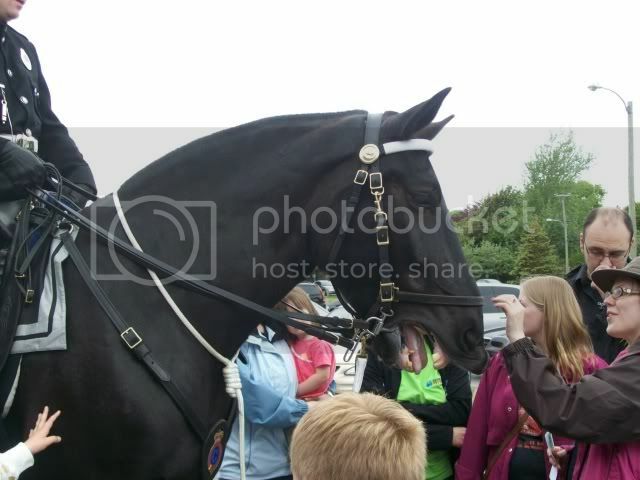 Id love to see the musical ride,dreage looks so funny!!! 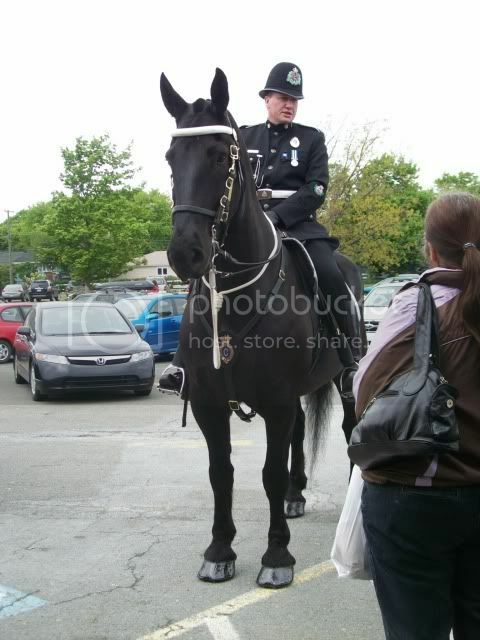 I got the opportunity to watch the musical ride a couple of years back...that is amazing! I wish I could see them in real life! I can't get over how pretty they are! ooooh, I would love to see those in real life! Beautiful. Thank you so much for sharing. So apparently it takes 2 hours to get the horses ready for an event!!! When I did the Girl Guides 100 year do-hickey they had the horses up 2 hours before 5am to get them ready and it was SO cold and rainy!!! Poor horses! Nobody cared how they looked! 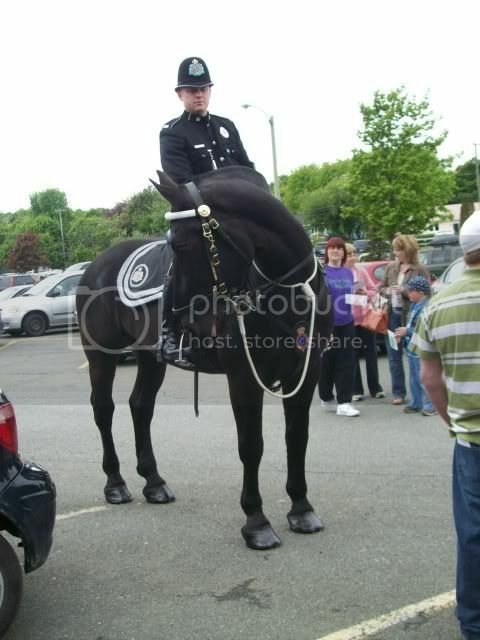 i wish our town had horse cops. All we have is the cedar falls bike cops. Not as fun seeing a cop on a bicycle with a basket and a cop wearing a helmet with a flash light on top.